A halfpenny of George III. The reverse has been counterstamped with the initials IT. 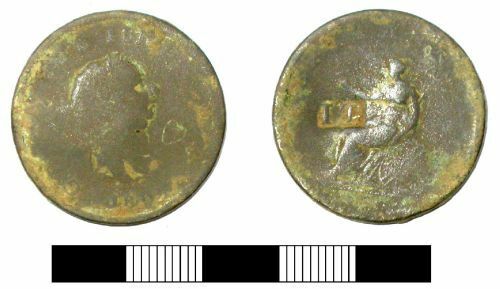 A copper-alloy halfpenny of George III, minted 1776. The coin has been counterstamped on the obverse with the initials TL.